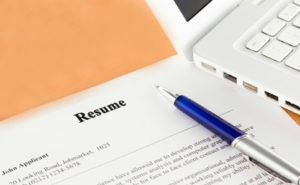 A number of tip s and “do’s and don’ts” when it comes to resume writing had flooded the Internet. However, job seekers just can’t seem to remember what they should do or expect during a job search. More often than not, they seem to be at lost when preparing their resumes. At times, they are the ones who are sabotaging what was supposed to be a rewarding career. Thus, in order to aid these problems, here are some resume writing facts and fallacies job seekers should remember when preparing their resumes. Hiring personnel who look at resumes are not the one who conducts the job interview. These people may have a list of criteria and qualifications in hand and may not actually be reading your work. Thus, ensuring that your resume is professionally appealing and contains adequate amount of keywords is a good way of increasing your chances of being considered for that job interview. Resumes are not your keys in obtaining your dream job. It is a personal marketing document used to “sell” your qualifications. So, anybody who says that your resume can get you your dream job is outright lying. Resumes don’t get jobs, they get job interview invitations. Don’t try to exaggerate or pad your resume. Trying to impress your prospective employer can backfire on you and eventually ruin your reputation. If you haven’t heard of George O’ Leary, Pat Robertson, Janet Cooke, or Wes Cooley, try searching their names and see what their “padded resumes” did to them. Don’t fill your resume with “I, me, and my.” It is a no-brainer that your resume is talking about you. Such pronouns can only make your resume sound redundant. Have follow-up documents ready. These are thank you letters, copies of your references, and other documents relevant to your job search. This will help you to respond immediately to requests and response of your prospective employers. Check and see to it that your resume is easy to follow. Hard to read resumes usually find their way to the company’s shredder. So, having a reader-friendly resume format helps a lot. Observe a sense of variety in your resume. Don’t use the paragraph format all throughout your resume. It is best to highlight some parts in bullets and retain some portions of your resume in paragraph form. Only itemize in bullet form information that must be highlighted such as awards, accomplishments, and any commendable achievements that you were able to get. A resume is never a novel, essay, or even a short story. Thus, it is discouraged for any job seeker to write resumes in long narrative form. Avoid describing your work history in a scene-per-scene basis. This will only lengthen your resume and can be difficult for a hiring manager to spot relevant information contained in your resume. So after nailing that invitation, your resume will eventually serve as the “source of conversation.” As you know, interviews are two-way communication where both parties participate in the conversation. So, it is very likely that anything that you placed in your resume would be “discussed” during the interview. Make sure that you know what you have placed in your resume. Having it written by a resume writer is not an excuse for you not to study its content. Remember, hiring managers will think that you’re lying to them if you’re not able to answer or clarify the information in your resume. Include only trainings and seminars that are up-to-date and are highly related to the position being applied for. Unrelated trainings can only lengthen your resume. This is also applicable with your skills and affiliations. It is also a good thing if you’re sending original copies or high-quality reproductions of your resume. Never settle for blurred or even hard-to-read copies. Remember, resumes are your “personal selling tools.” Poor copies can make hiring managers think that you’re not serious with your work! Make it a point to place more value on your achievements instead of duties. The numbers in your resume can interest them and may urge them to want to meet you in person. Always make it a point to secure evidences or written proofs of your achievements. For example, if you claimed to be one of the best employees in your department, you must have a copy of your performance evaluations. This way, you have evidences to support your claims. However, these are not attached to your resume but are compiled into a portfolio. It is not bad to claim the recognition for something that you did. What’s unacceptable is claiming full responsibility for certain achievements. Better address the effort that your team has exerted in that particular project. It is much better that way and can even show that you have the capacity to work and collaborate with other people. Remember, aside from individuals with the know-how, hiring managers are also looking for team-players. Never compromise the quality of your paper. Always use some fresh, crisp plain paper. If you prefer resume paper, it’s okay so as long as it doesn’t have any fancy boarders or striking colors. Also, never submit soiled or dog-eared resumes. Resumes with chocolate or oil stains shows how unprofessional and shabby an applicant you are.